Meet fascinating local hilltribes in ethnically diverse Sapa. Cycle through mist-covered rice paddies and snorkel southern coral reefs. 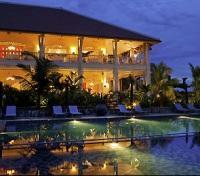 Lounge on palm-fringed white-sand beaches in Phu Quoc. 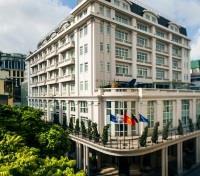 Explore the French colonial architecture of Hanoi and Ho Chi Minh City. Stay at incredible mountain lodges, and a curated collection of beach resorts & elegant city hotels. Experience the French-influenced flavors of Hanoi and Ho Chi Minh City, meet hillside ethnic tribes in misty Sapa and relax on pristine tropical beaches as you journey to remote corners in Vietnam’s north and south. 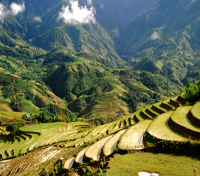 This tour is ideal for those travelling between February and June, when weather in the northern mountains and southern coast is idyllic – although the rice paddies are stunning year round. 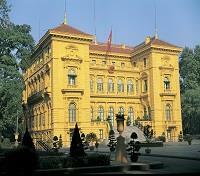 Begin your adventure in colonial Hanoi with a visit to the Temple of Literature and the Presidential Palace. Have a bite at the local spot Anthony Bourdain and President Barack Obama dined in. 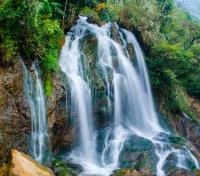 In tranquil Sapa, stay in a magnificent eco-lodge, where your private balcony overlooks towering peaks and endless valleys. Bike along trails winding through rice paddy terraces and charming hilltribe villages, and browse colorful seasonal produce and handicrafts at a local market. Marvel at the ingenuity of wartime necessity at the amazing underground complex of tunnels in Cu Chi in southern Vietnam, dating back to the Vietnam War. 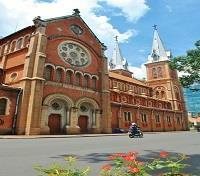 Stay in buzzing Ho Chi Minh City and tour its magnificent cathedrals, markets and the French-influenced Central Post Office. Cap off your incredible Vietnam journey with a few days on the exotic island of Phu Quoc, where dazzling beaches, hidden coves, and tropical jungle are part of the everyday life. Feed the need for adrenaline by snorkeling the tropical coral reefs, and hop on a bicycle and experience the landscape of stunning canals, rice fields and long stretches of sandy beaches along the island's alluring coast. A prestigious retreat, Hotel de l’Opera Hanoi is an award-winning property that encapsulates the best of Hanoi, magnificently featuring French colonial architecture and an operatic inspired interior. 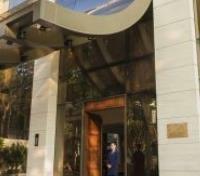 Centrally located in the heart of Hanoi, the hotel is only a three-minute walk to the Hanoi Opera House and a 10-minute walk to the iconic Hoan Kiem Lake. Each of the 107 guestrooms are meticulously designed to be sanctuaries of elegant comfort, with lavish amenities hand-picked for quality. 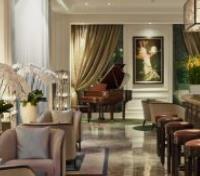 A curated selection of restaurants offers a range of experiential gastronomic choices – Café Lautrec offers a brasserie-style restaurant with à la carte and buffet dining throughout the day while Satine offers classic Vietnamese cuisine in the dramatic setting of the hotel’s eight-story central atrium. La Fée Verte is a cocktail bar that harkens back to the decadence of absinthe bars in Paris at the dawn of the 20th century, with a wide selection of aged spirits, cocktails, and imported wines. 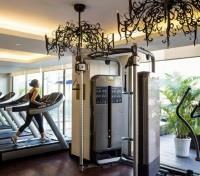 Rejuvenate and indulge yourself with Hotel de l'Opera Hanoi's services and amenities for a memorable wellness experience. 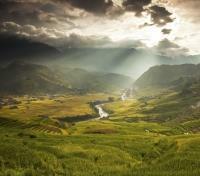 Drive from Lao Cai (2 hours) to Coc Ly market where situated between stunning mountains by the Chay River. 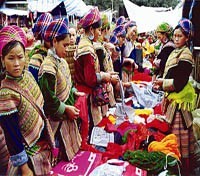 Every Tuesday morning, the people from the surrounding ethnic villages such as Flower H’mong, Phu La and Dao Tuyen gather to sell and buy their products. Having explored the market, you will have a boat trip to Flower H’mong village of Na Nen then trek to Trung Do village of Tay minority people. Enjoy the picnic lunch in local house with Tay people. Continue the tour to Bao Nhai village and drive uphill back to Sapa. 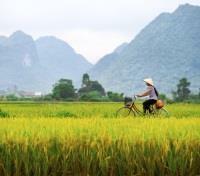 You will cycle into Sapa valley and experience the fantastic scenery of mountains and rice paddy fields along the way. After a while, you will make a turn right to Sin Chai village and continue cycling off road to Ta Van village, break stops to talk with the Black Hmong or Giay who are working on their fields, or enjoy a green tea in their house. You will have lunch in the Black Hmong village of Su Pan then continue cycling downhill to Ban Ho village, which is inhabited by the Tay people. 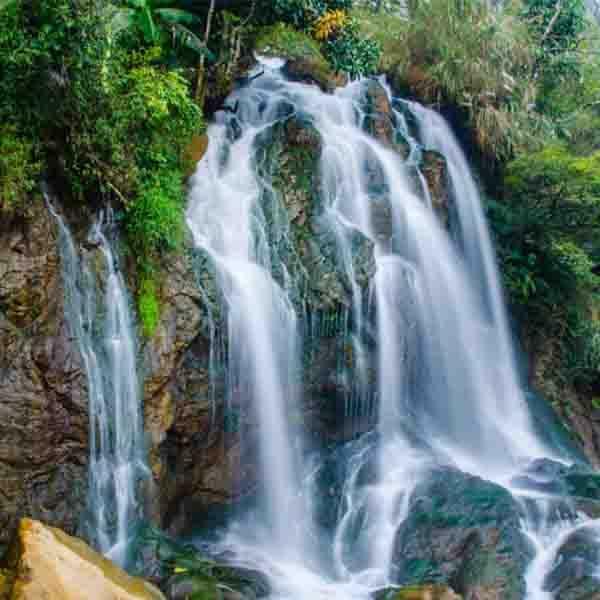 Here you can experience the daily life of villagers who live in their traditional stilt houses surrounded by rice terraces and vegetable gardens; walk to the nearby Lavie waterfall, where you can enjoy a swim; or trek uphill to visit to Red Dao village of Nam Toong. Your vehicles will then pick you at Ban Ho village and transfer you back to Sapa. 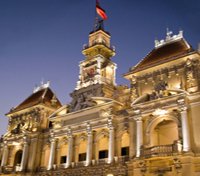 Board a flight from Ho Chi Minh City with direct service to Phu Quoc. Approximate flight time is one hour and five minutes. You will be privately transferred between your accommodations and Phu Quoc Airport by a professional driver and an English-speaking guide. Located on Phu Quoc Island, La Veranda Resort Phu Quoc, member of the MGallery collection, boasts a style reminiscent of a French seaside mansion. Set in tropical gardens on a beautiful stretch of beach, the beach luxury resort and boutique hotel and spa boasts large terraces with sweeping views ideal for honeymoons, spa vacations or family holidays. In addition to spacious rooms with private balconies, La Veranda Resort Phu Quoc features two restaurants, a lounge bar, swimming pool, water sports, and day spa, all in front of the beach and beautiful grounds, making it a remarkable setting. Start the day with a visit to a pearl farm to observe the pearl growing and harvesting process. 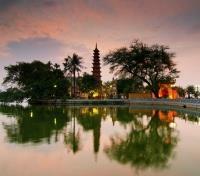 Next, visit Ho Quoc Pagoda, a new spiritual site of the island with a magnificent view of the sea. Later, reach An Thoi Port and take a boat tour around the isles. 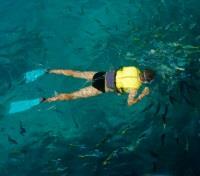 Stop at Doi isle and Da Trao beach with beautiful coral reefs for snorkeling. After lunch on the boat, you will return to Sao Beach for swimming. Your guide will be meeting you at your hotel in the morning to start your biking adventure. Start cycling and visiting many sites along the way such as a pearl farm and a fishing village. Stop by a sea side restaurant for lunch. After lunch visit a Sim wine factory and a black pepper farm before heading back to your hotel. Board a flight from Phu Quoc with direct service to Ho Chi Minh City. Approximate flight time is one hour and five minutes.